Ecalpemos: Young Scots play key role in Scottish independence referendum. 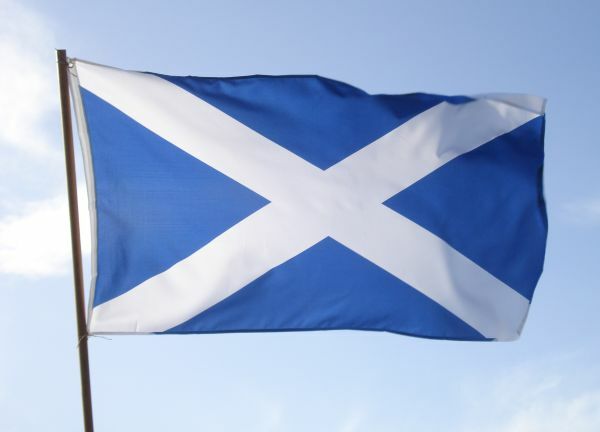 Young Scots play key role in Scottish independence referendum. One thing is clear about the forthcoming referendum on Scottish Independence: young people will play a key role in determining its outcome. Even if Alex Salmond fails in his plan to include 16 and 17 year olds in the vote it is likely that the under 25's will decide the outcome of the poll. The older generation is very evenly split on the issue and younger people are more easily motivated to engage in political issues than they have been for many years. This could work for or against the SNP's Yes campaign. Anecdotal evidence from my younger friends is that they are either more internationalist than nationalist or they misunderstand what is being proposed under the umbrella word "independence". The former group are less likely to vote Yes in the referendum because they don't see the relevance of international boundaries. The latter group seem to believe that an independent Scotland would be able to prevent immigration from eastern Europe (it couldn't); get rid of the royal family (the SNP have made clear that this is not on the agenda); have a level of autonomy that would allow it to take unilateral military action such as going to war with England if it wished (it couldn't) and have full fiscal autonomy with a currency unaffected by England (it couldn't). On this latter point I see from today's papers that John Swinney has come out and said that an independent Scotland would stay in the pound. Its not clear if he means the UK pound or a separate Scottish currency called the pound with parity to the UK pound as is the case with the Isle of Man and Gibraltar pounds. He certainly means retaining the Bank of England as lender of last resort. How many of my young friends are going to be happy with that? One of the problems with the current debate is that the SNP have failed to define exactly what they mean by "independence". They have allowed it to be all things to all people and seem quite happy to "run with the hare and hunt with the hounds" when it suits them. For example, they are clear that its geographical and political nationalism they are promoting rather than ethnic nationalism, but at the same time they are quite happy to lean on images of Scotland's old tribal culture and military victories when it suits them. These things appeal to the younger generation of Scots who may be more lion rampant than the Scottish Government's pantone saltire. If they vote for Independence on the SNP's terms then they may be sorely disappointed with the outcome.